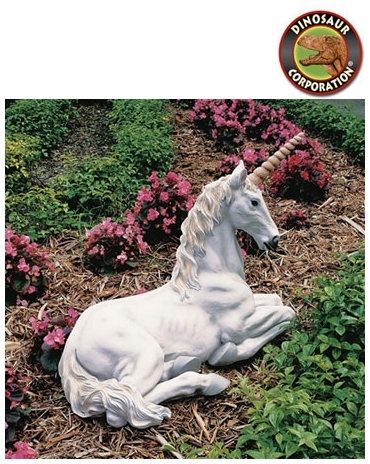 Unicorn Sculpture Garden Outdoor Statue. Full of mythical beauty, our majestic unicorn is nearly a yard long, exquisitely hand-painted in the soft palette of the dream world. 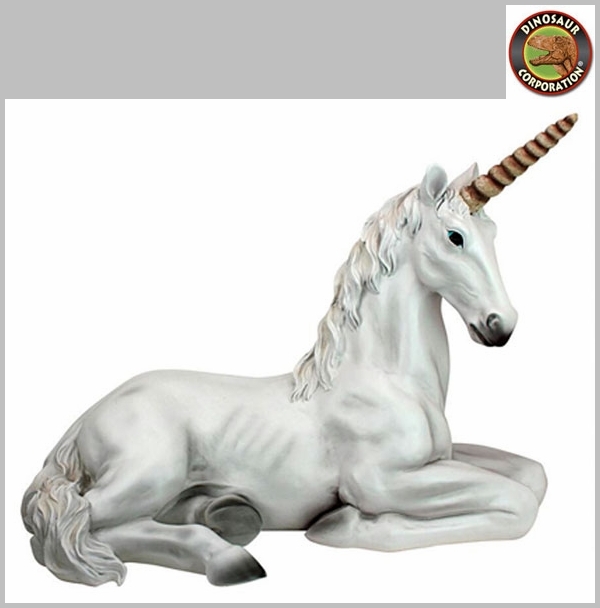 Our sculpt highlights its single horn, said to be able to dispense perfect justice. * Medium Weight: 5 lbs. * Large Weight: 21 lbs. * Bring inside during freezing temperatures.